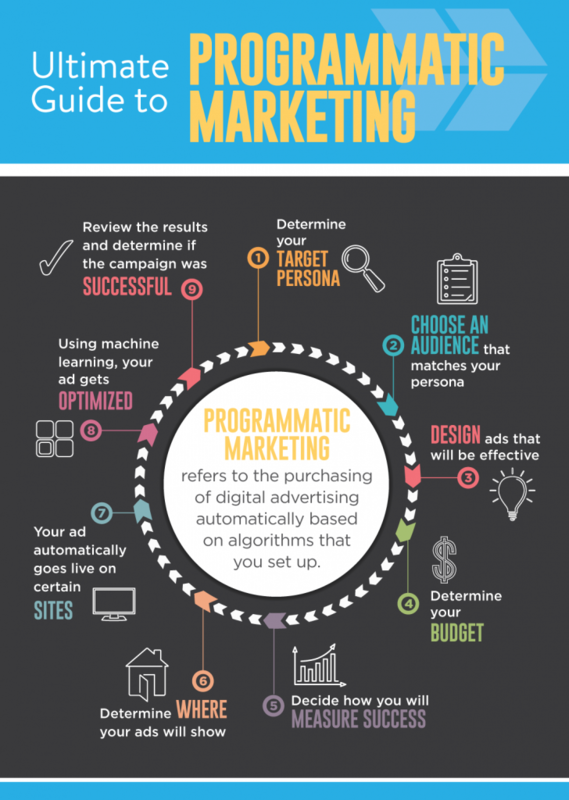 “What is programmatic Marketing?” is an important question to know the answer to. Over the next few years, programmatic advertising is projected to grow exponentially, an example being a major brand like P&G setting goals of buying 70-75 percent of their digital advertising through programmatic systems. Forrester projects that this system of advertising will be responsible for the majority of budget spent on digital advertising in the next few years. It appears that programmatic advertising is the future of marketing. Those interested in ensuring that their marketing efforts remain at the forefront of their industry need to pay attention. Programmatic advertising involves using certain platforms and software to make digital advertising purchases. The alternative is to use people to buy and sell the ads. The idea behind programmatic advertising is to make the entire process more efficient, which will, in turn, make digital advertising more affordable and effective. Note that programmatic advertising is not necessarily the same thing as real-time bidding. Real-time bidding is a form of programmatic advertising, during which the programmatic marketing makes purchases ‘in the moment’. Programmatic advertising in general, however, can allow brands to make ad impression purchases in advance. Programmatic strategies can also be employed with other forms of marketing, such as online driven direct mail. This boosts the effectiveness of marketing campaigns across a variety of channels. What should brands look for in a programmatic advertising platform? Making the right decision regarding programmatic advertising platforms can make a tremendous difference in the success of the advertising venture. By looking at a few key questions, brands can make the optimal decision for their organization. There are a variety of options available, including customizable platforms versus turnkey platforms. If you have a variety of different types of inventory sources that you would like available for your marketing goals, then working with a customizable platform may be to your advantage. On the other hand, if you do not need as much control over the inventory available and what you see offered by a provider seems to match with what your goals, you can work with a preset platform. Similar to the types of inventory available, the level of customization available for targeting and retargeting customers can also vary between programmatic marketing platforms. 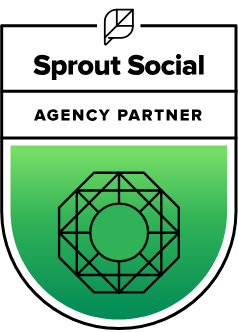 Look at the data provided by the platform and their ability for pulling in your separate data and data from any third party platforms you might use to see which best align with your goals and can be considered the best programmatic marketing platform for you. You also want to look at the ability of your programmatic marketing provider to protect your investment from factors such as fraudulent clicks. You want to find a platform that offers transparency in performance, reporting, and protection. The ability of the platform to be transparent and protect your investment. Programmatic advertising offers a higher degree of efficiency that appeals to many brands interested in improving their advertising practices. 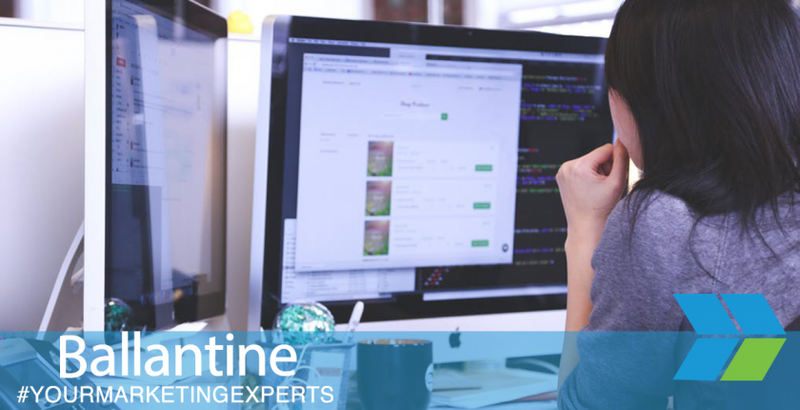 Finding a superior programmatic marketing platform or programmatic digital marketing provider, like Ballantine, can help you ensure that your practices offer you the highest degree of success. With decades of experience and various digital services offered, let us help you meet your digital advertising goals.